Screens N Suds and Hardywood are set to release their Quadrawine on Thursday November 1st at a preview event starting at 5pm. 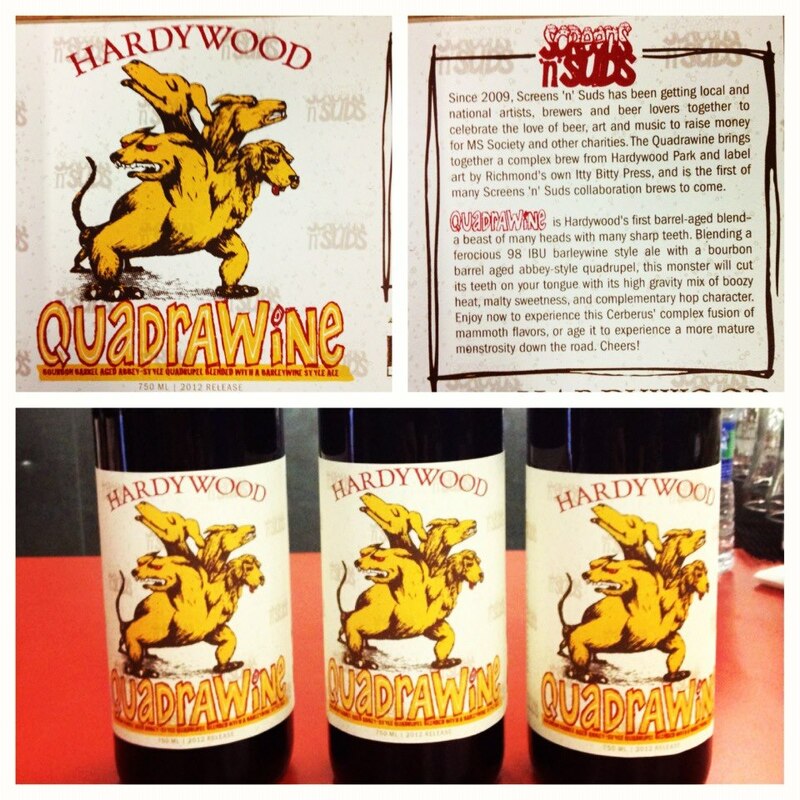 Quadrawine is Hardywood’s first barrel aged blend release brewed in collaboration with Screens N Suds with screen printed labels by Richmond’s Itty Bitty Press. This extremely limited beer will be sampled Thursday night at Hardywood; bottles will be sold at Gallery 5 during Screen N Suds’ QUAD. The small scale batch resulted yielded two 1/6 kegs and over seventy 750mL bottles. Corked, caged and numbered Quadrawine (13% ABV, 60 IBU) bottles will be on sale at Gallery 5 Saturday November 3rd. Bottles will be $40 each (limit 1bottle/person) with 100% of the proceeds benefiting MS Society.